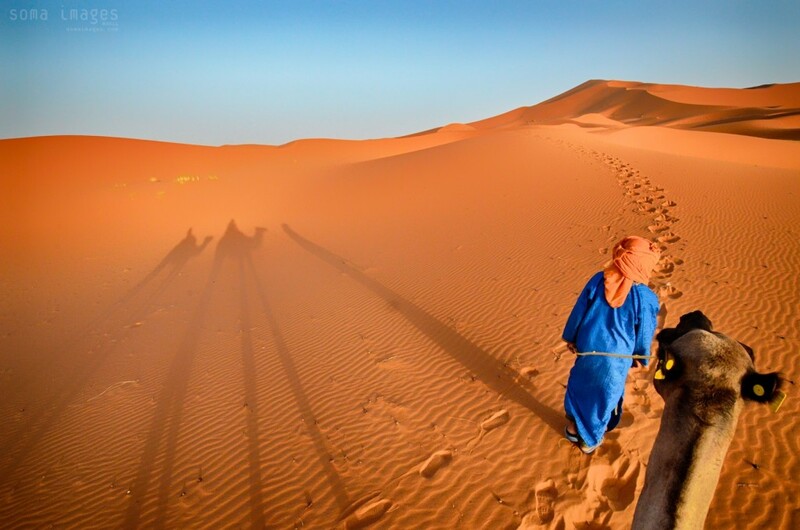 Covering a stretch of 50 kilometers from North to South, Erg Chebbi is one of Morocco’s two Saharan ergs. The other is Erg Chigaga near M’hamid. 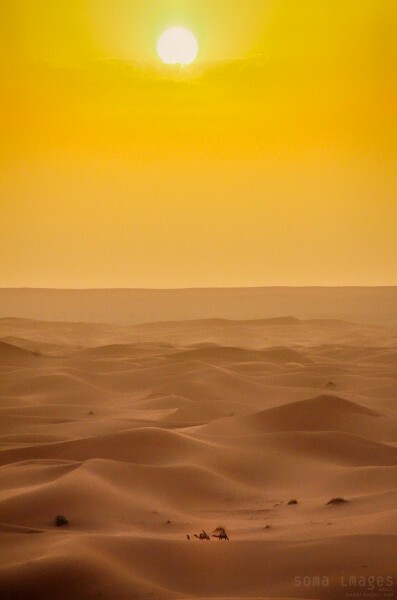 But unique to Erg Chebbi are the red-orange hues of the sand. This adds a sort of mystical magic to the landscape and surroundings. Is this Mars? An alien planet? 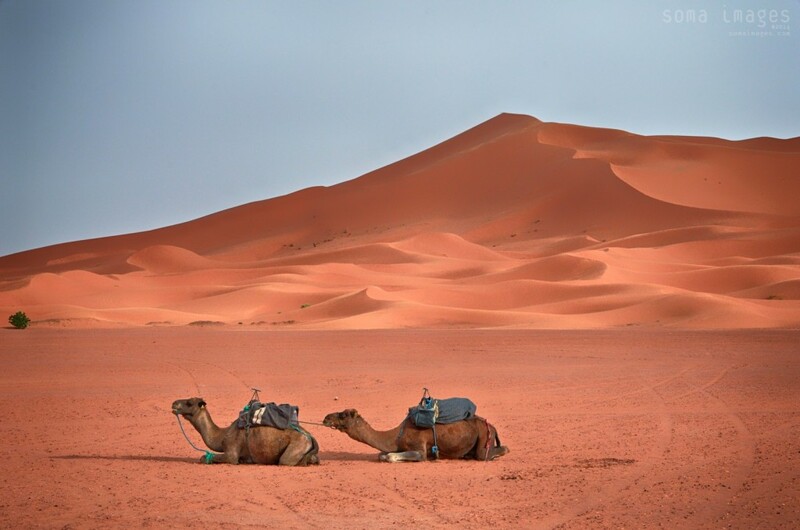 Unless you grew up as a desert nomad, it’s certainly nothing that looks like your home! It’s one of those places where you can just sit back in awe… and think to yourself… “WOW… where am I? !” So incredibly far away from home. So incredibly awesome. Traversing these giant dunes is an experience that is hard to describe with words. The serenity, the peace, the tranquility. It is unlike any other place. Between your toes you can feel the hot red sand, and all you can hear is the wind blowing over the dunes. It is very surreal, almost as if you are visiting an another world on a far away planet. My trusty guide, Hamid, must have been all of 15. Polite, quiet, and barefoot, he set off with me and my trusty camel transport who I was told was named Bob Marley. His camel friend back at base camp? That’s Jimmi Hendrix. My attempts at extending a hand for some camel pets were met with loud moans and groans that sounded nearly identical to the bellyaching of Chewbacca in the Star Wars movies. Watching the sunset here was simply stunning. The colors and the shades of oranges and reds as the sun dipped down in the sky… the camera can only do it’s best attempt at capturing this magical spectacle. It is an experience that not only needs to be seen, but also felt. Another unique experience was sleeping outside, under the stars, in the middle of the dunes. No city lights. No cars. No noise. No anything. Just you and the desert. Amazing. 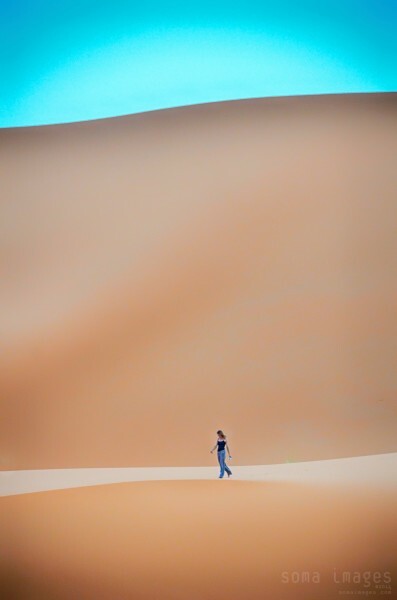 From a photographer’s perspective, the dunes at Erg Chebbi provide an absolutely fantastic environment for photography. The sculpted lines of the dunes are mesmerizing, their shape continually changing with the wind. The oranges and reds contrasting against the blue sky create such vibrant visual imagery that the results look as if they were shot on another planet. 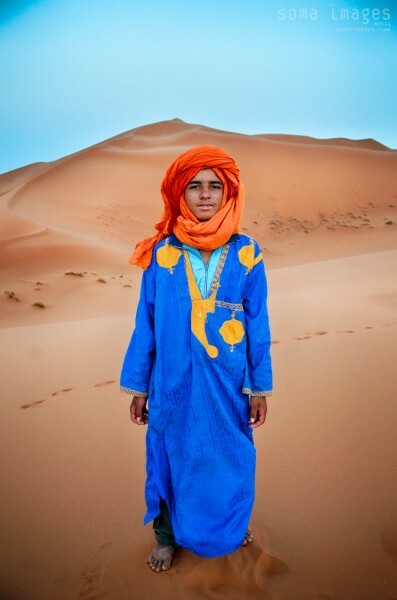 To say the dunes at Erg Chebbi are incredibly beautiful would do them a great disservice. They are so much more than that. They are a place that I would recommend everyone to experience at least once in their life, there is something very magical and special about them that is hard to communicate with words alone. You actually need to stand on the red sands yourself and take it all in yourself.